Ed Note: The Castlegar Source is a proud sponsor of this event, and we will be publishing articles every Sunday leading up to the conference explaining more about the speakers, the use of proceeds, etc. 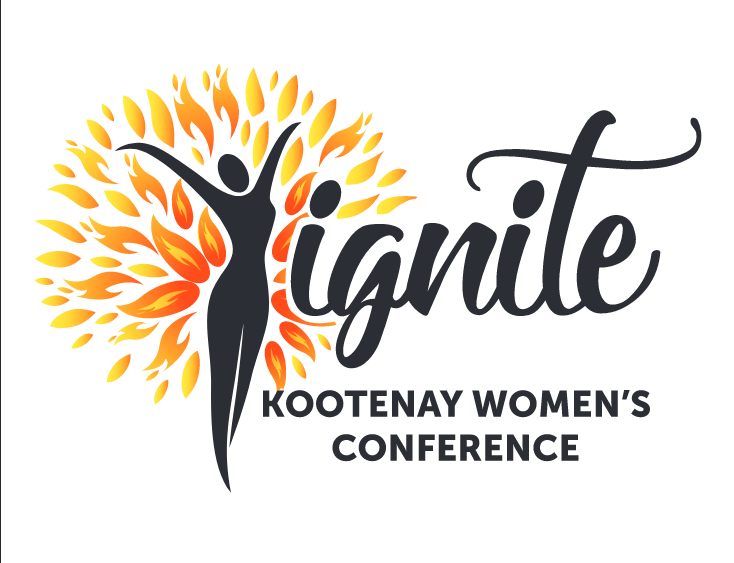 The Ignite Kootenay Women’s Conference is a two-day event that will be held at the Castle Theatre in Castlegar March 8 and 9. This event will coincide with International Women’s Day, and its goal is to bring Kootenay women of all ages and stages, cultural, religious, and socio-economic backgrounds together for a weekend of celebration and motivation, according to organizer Rebecca Voros. The doors will open at 4:30 p.m. Friday, and Trackside Bistro will be providing refreshments while attendees register and mingle. Marilyn James, Sinixt spokesperson, will offer a blessing on the weekend, and Charlotte Ferreux, from Thrive Coaching and Consulting, will be the first speaker. Saturday will be a full day, with the first speaker starting at 11 a.m. The focus of this day will be how to go after the life you want and strategies for living your best life. Topics will include, but are not limited to: setting and achieving goals, shifting your mindset, finding joy, living in gratitude, self love and body image, healthy living practices, eliminating comparison, and building yourself a strong community. Saturday’s lunch will be provided by Kootenay Catering. In addition to keynote speaker Charlotte Ferreux, Amanda Zaal from Aim & Glow will also speak Friday evening. Diana Draper, owner of Clear Water Naturopathic Medicine, will kick things off Saturday morning. Lynn Ujvary from SWISH, Monique Bogaardt from Assante Wealth Management, Maryann Puliz from Fitbox Crosstraining, and Rhonda Shears from Selkirk College will also speak Saturday. Tickets are $75, and are available online at the event’s Facebook page, Ignite - Kootenay Women’s Conference. In order for this event to be accessible to any woman who wishes to attend, subsidized tickets and free childcare are also available. Silly Monkeys Childcare in Kinnaird is providing and hosting the childcare services throughout the entire weekend. Voros said community support has been overwhelming: HTR Designs, SWISH, Revival Boutique, The Old Theatre, Central City Shoes, Pink Opal Dreams, Fundamentals, and Undercover Secrets have all generously donated or sponsored. For more information, or to donate funds, products or services, visit the Facebook page, or email ignitekootenaywomen@gmail.com.